For the 2018-19 school year, there are 1,718 top public elementary schools in Los Angeles County, California, serving 1,019,877 students. Los Angeles County, CA public schools have a diversity score of 0.34, which is lower than the California average of 0.41. The most diverse school district in Los Angeles County is Torrance Unified School District. 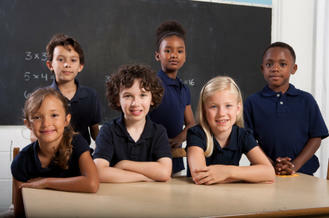 Read more about public school diversity statistics in California or national school diversity statistics. Minority enrollment is 86% (majority Hispanic) and the student:teacher ratio is 24:1. Grades: 7-8 | 680 students 13435 East 166th St.
Grades: 6-9 | 90 students 1041 South White Ave.
Grades: 9-12 | 226 students 5753 Rodeo Rd. Grades: 9-12 | 20 students 1000 West Eighth St.
Grades: K-6 | 307 students 1135 South Euclid Ave.
Grades: K-8 | 856 students 16200 South Downey Ave.
Grades: 9-12 1655 East 27th St 1st Fl. Grades: K-2 | 162 students 4504 Ascot Ave.
Grades: 9-12 | 304 students 14200 Van Nuys Blvd. Grades: 9-12 | 269 students 2050 San Fernando Rd. Grades: K-3 | 257 students 4544 Maxson Rd.